In the world of router Star Tech introduces the new Xiaomi Mi WiFi Router 3C with MT7628N processor, 16 Mb NorFlash ROM and 64 Mb DDR2 flash memory that guarantees a dreamlike internet atmosphere. Its WiFi 802.11 b / g / n IEEE, 2.4Ghz, up to 300 Мb / s internet connection provide a hassle-free internet session for every member of the family. 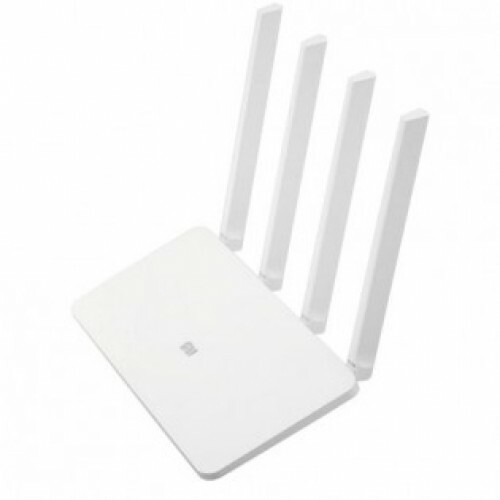 Its 4 high-gain omnidirectional antennas providing a stable internet connection and spreading powerful WiFi signal to every corner of your house. This router has 7-level security system to protect from virus attacks, data leaks, router hijack, and blocks malicious websites to ensure a high level of safety and security. Using a mobile Mi WiFi Router app this can be remotely controlled for seeing who is connected to the network, set internet speed for a single user, exchange files between networks. Parental control allows to set a time frame for child’s internet session and block access to inappropriate sites or file downloads. This router is available at best price in every outlet of Star Tech including Dhaka, Chittagong and Rangpur. Order online to get this product at your home.